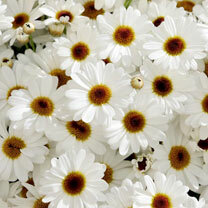 Enjoy masses of beautiful flowers for almost six months of the year with the beautiful Marguerite Grandaisy White. 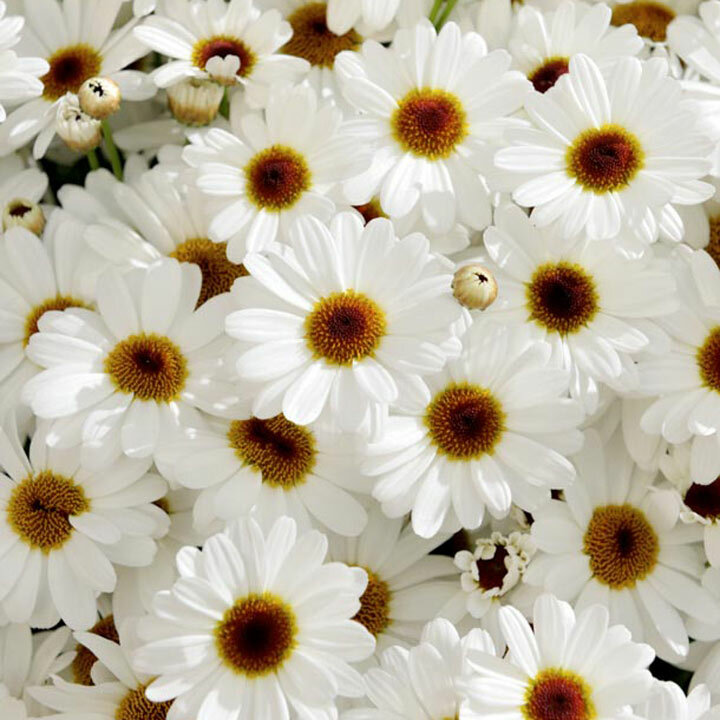 Its compact, bushy nature makes it perfect for a pot on the patio, so you can choose a sunny position and look forward to those brilliant white flowers between June and October. A wide-branching, bushy plant, the Marguerite is easy to care for and means you’ll be treated to dozens of flowers well into autumn. Flowers June-October. Height 40-50cm (16-20"); spread 40-50cm (16-20"). Supplied in a 2 litre pot. The ultimate in carefree gardening! A fuss-free way to enjoy elegant flowers when the colours of summer have faded, we love this patio showstopper. Ideal for beds and borders, patio pots and containers. Drought tolerant. Prefers full sun.